St Charles County, MO, May 13, 2014 -- Tonight the St Charles County Council expanded comment time limits for a local law firm that attempted to create a historical narrative of the genesis and intent of the county charter of St Charles County. This is very uncommon and appeared to be prompted by St Peters Mayor Len Pagano. The city used that same local law firm to to draft St. Peters' red-light camera ordinance which was found to be in conflict with state law by Judge Ted House in St Charles County Circuit Court. No other speaker used nearly as much time as the law firm representative. Also, only a limited amount of citizens were allowed to speak due to time constraints. Many in attendance would have rather had more individual speakers rather than a 25 minute session for a law firm during the "public comments" section of the council meeting. All subsequent speakers were restricted to three minutes a piece after the special protracted time grant by the council. Both St Peters and the law firm likely aren't pleased that St Peters' red-light camera ordinance failed under the scrutiny of the courts just a few months ago. That ruling is on appeal with the help of the same local firm. The city having relied on the failed ordinance has now began assessing points to alleged red-light violators within St Peters. Conventional wisdom is that red-light camera vendors and cities do not want points assessed for two reasons: 1) most citizens pay closer attention to violations that can suspend their licenses based on the accumulation of points on their driving record and so there is more resistance to just "paying the fine" as a nuisance value and you can't simply give citations to the "owner" of a car for matters that involve "points" (this brings revenue down too); AND 2) once several unaware drivers DO start receiving suspension notices from the DOR that their license is going to be suspended or revoked for allegedly running red-light camera intersections in St Peters there will then be a lot if kick back from what would have otherwise been just drivers "aggravated" by a fine yet unaffected by point accumulation. With regard to the legality of the proposed countywide charter amendment to ban red-light cameras; the St Peters City lawyer on hand would commit to no words stronger than "could violate the spirit of the charter" and at one point said that it is actually completely legal to amend the county charter (under Executive Ehlmann's questioning -- a former legislator, judge, and historian) . Mayor Pagano compared his city to a neighborhood association and how certain communities wish to protect their local interests similar to the county's relationship with his city. However, District 3 County Council candidate Michael E Carter in attendance found Pagano's analogy odd and said, "first of all, neighborhood associations don't invite everyone throughout the county to come visit their neighborhood like St Peters does it's mall, businesses, schools and other services; by near necessity, non-St Peters residents are constantly in St Peters and do have a say about public roads in and out of all the municipalities like St Peters. And, you bet your bottom if a neighborhood association within St. Peters' city limits decided it would ignore St. Peters' housing codes because their community wanted to do so; well, let's just say the mayor wouldn't allow it." In the end - after quite a few legislative gymnastics - Councilman Brazil was able to get a nearly unanimous YES vote from the council (only Councilman Cronin abstained) to place the red-light camera ban amendment on the November 4, 2014 ballot for consideration of voters throughout St Charles County. 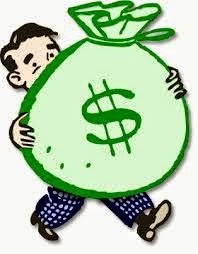 House Bill 1557 is being pushed by the Red Light Camera industry in an attempt to keep the money machine rolling for the out-of-state vendors and the money grab by some local municipalities going. The New Wentzvillian is carefully watching this legislation and will let the public know which local legislators stood with the people and which stood with the special interests pushing this bill. Following reversals in court, the lobbyists for Red Light Cameras went to work on a bill to try to satisfy the court's objections that the municipalities using Red Light Cameras weren't assessing points on a driver's record the same as when someone was stopped by a uniformed officer, effectively nullifying the ability of those cities to collect the fines. 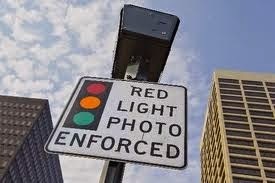 This special interest piece of legislation would say that points would not be assessed on Red Light Camera violations. This strips away any argument that Red Light Cameras are for safety and exposes that they are just a way for the communities where they are to make money at the expense of the driving public. State Representative Dave Hinson, the sponsor of this break for the Red Light Camera industry, which primarily affects urban areas, represents the 119th District, a mostly rural district centered on St. Clair in Franklin County. On May 1st it was placed on the informal Senate calendar, meaning that the bill could be taken up at any time for a vote in that body, having already passed the House. The President Pro Tem of the Senate, State Senator Tom Dempsey (R-Dist.23), is our only representation in the Missouri Senate following the resignation of State Senator Scott Rupp to accept an appointment from the Governor. We met with a representative of Senator Dempsey's office recently who was cordial if somewhat noncommittal on what the Senator would do. Previously Senator Dempsey has expressed his opposition to Red Light Cameras and we hope that he will use his considerable influence as President Pro Tem of the State Senate to oppose this special interest legislation. The Red Light Camera vendor (Redflex) for St. Peters is under Federal Indictment for fraud, corruption, and bribery and is under investigation in 13 states. The City of Wentzville, under the leadership of Mayor Nick Guccione, has rejected Red Light Cameras. St. Peters is currently the only city operating them in the county. County Councilman Joe Brazil is sponsoring a Charter Amendment that would ban Red Light Cameras throughout the county. The measure will be heard at the County Council meeting on Monday May 12th at 7:00 at 100 North third Street in St. Charles. The New Wentzvillian will be there to cover the meeting and let you know how our County Council members vote. As an attorney and formal municipal judge, I have been fighting Red Light Cameras from the beginning as being an assault on civil liberties, privacy, dangerous, and a money grab by politicians. Red Light Cameras have proven to be counter-productive to safety as the rate of accidents and injuries have increased over 30% in St. Peters at the intersections where they are installed according to the St. Peters Police Department's own statistics.